with Reserved Font Name “Black Ops”. 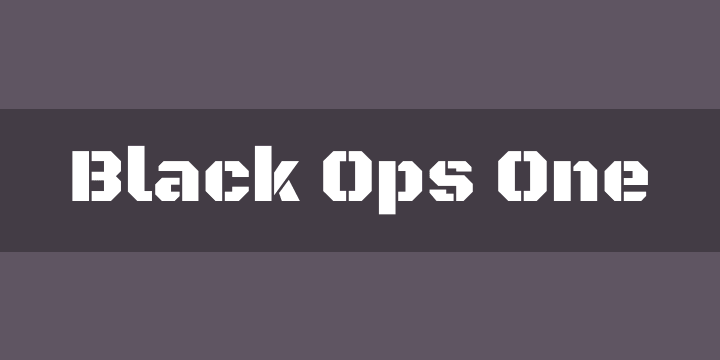 Black Ops One is a low contrast, semi geometric typeface inspired by military stencil lettering. It is heavy, sturdy, punchy, and looks best when used in medium to large sizes because of the small cuts found in stencils.